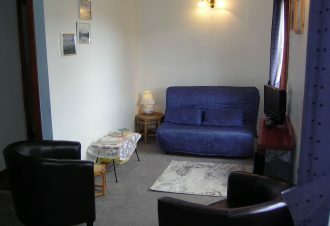 Corpach, some 4 miles from Fort William has long been an excellent base for a h holiday or short break in the Highlands of Scotland. Perhaps because some of the very best views of Ben Nevis are to be had from here it has been one base for climbing the Ben before the construction of the pony path and the establishment of the observatory on the summit in 1883. On arrival our visitors often get out of their cars and say WoW! 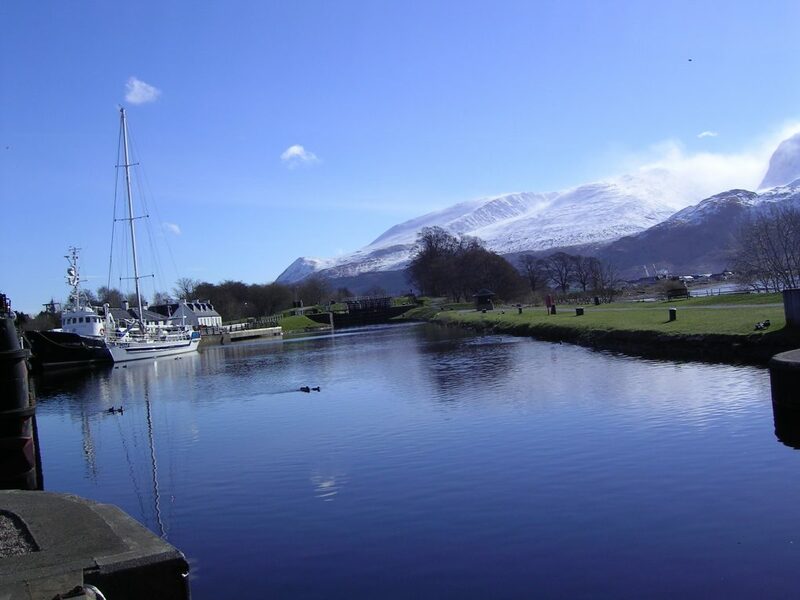 We believe that this view of Ben Nevis and across the water to Fort William is pretty much as good as it gets. The village is perhaps most famous for being right at the SW end of the Caledonian Canal where the Canal enters the tidal waters of Loch Linnhe. 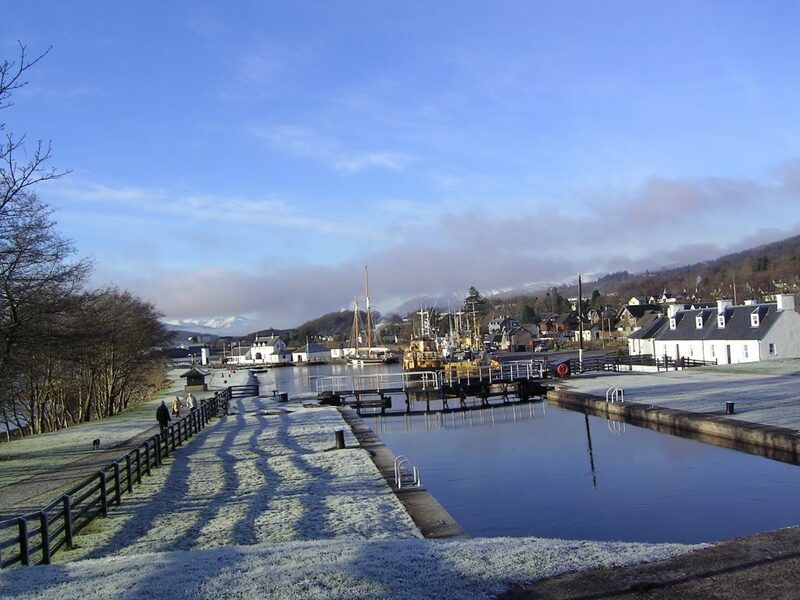 About a mile away – in easy walking distance is” Neptune ‘s Staircase”, the biggest set of locks on the Caledonian Canal. The Canal was completed in 1822 and was conceived as a way of providing much-needed employment to the Highland region after the Highland Clearances which left many locals in poverty without job and homes. The Jacobite Steam Train runs from Fort William twice a day in summer with railway enthusiasts gathering at the level crossing at Corpach and the canal bridge at Banavie These are prime spots photograph the Jacobite (Harry Potter express ) steam train on its daily journey to or from Mallaig. The west coast of Scotland and the Highlands – of which Lochaber forms part -is steeped in history. 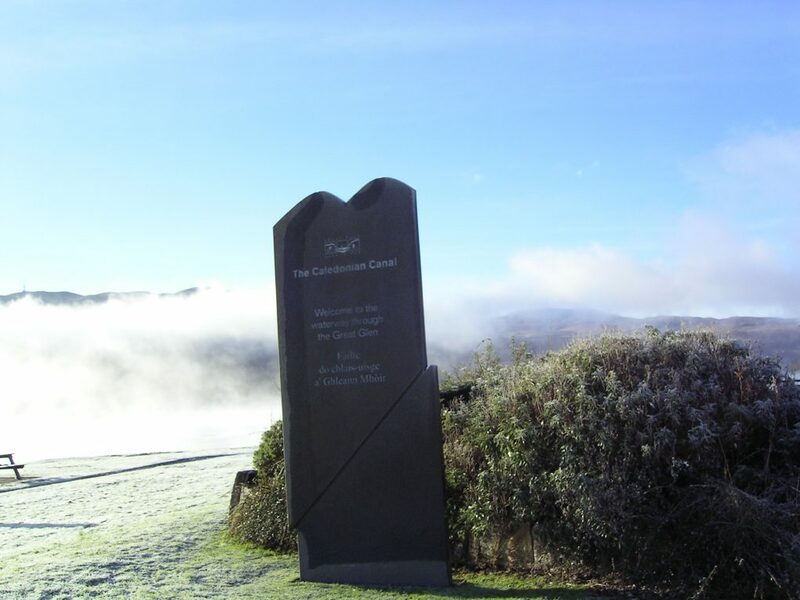 The name Corpach is reputedly based on the Gaelic for “field of corpses”, so called because it was perhaps used as a resting place when taking coffins of chieftains on the way to burial on the Isle of Iona. In around 1470 The Battle of Corpach The Clan Cameron defeated the Clan MacLean. Although a village had been based here from around 1600, it remained small and isolated until 1795 when the road from Fort William reached the village. The pier at Corpach was built in 1804-6 for the ships entering the canal at Loch Linnhe. Passengers could alight here and be transported by road to Banavie for the next stage of the journey to Inverness. The four-storeyed engine house (now demolished) was later converted into accommodation for the lock-keepers and into store-rooms, before its demolition in 1968. The Canal : By the time the Caledonian Canal was fully opened in 1822 by Thomas Telford, there was also a ferry service linking Corpach with Fort William. From the 1850s, when larger steamers from Glasgow began to use the canal, Corpach became established as a popular resort. The railway : The extended line from Banavie came late to Corpach with the line taking passengers from Fort William to Mallaig not operational until 1901. The rail line towards Invergarry and Fort Augustus became operational in 1903 – with the line closing in 1947. The US Navy had a naval base at Corpach in World War 1 as base for laying mines before being shipped through to Inverness for the North Sea Barrage. The West Highland Museum in Fort William has one of the finest collections of Jacobite memorabilia from the 1715 and 1745 Jacobite Uprisings and much more. Just a few miles away to the west along the A830 at Glenfinnan the National Trust for Scotland operate a visitor centre where the Stuart standard for “Bonnie Prince Charlie was raised in August 1745. Just outside Fort William, along side the River Lochy is the Old Inverlochy Castle, an ancient, classic 13th century castle. Two significant battles were fought outside its walls in 1431 and 1645. It also played a part in the Scottish Wars of Independence. The original Inverlochy Castle probably pre-dates the Viking raids and is one of the oldest castles in Scotland. 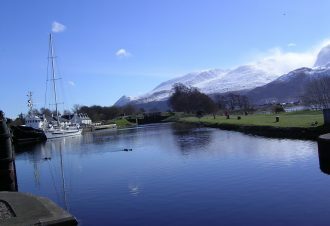 The Old Fort in Fort William – just opposite Morrisons Supermarket – the River Nevis used to flow into Loch Linnhe to the south of where it does now. This was an ideal defensive position which was easily accessed from the sea during the Civil War by Cromwell’s army in 1654. 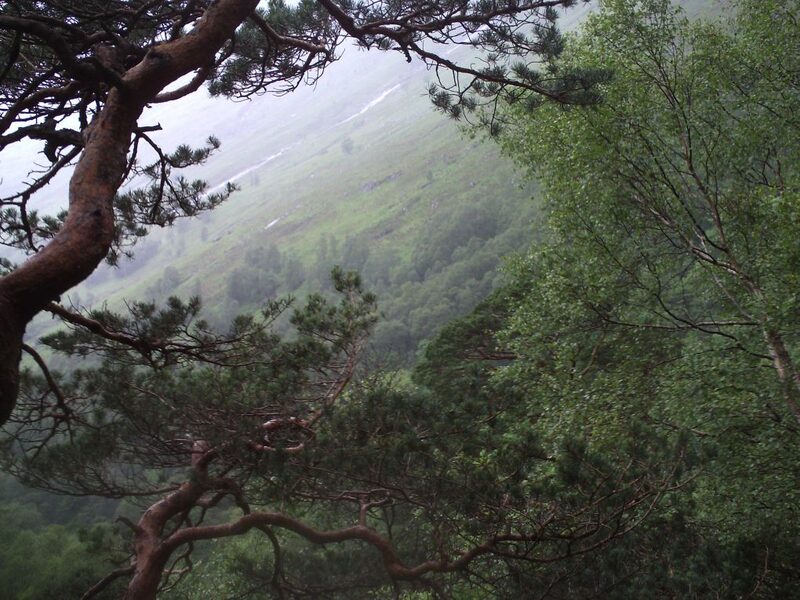 A wooden citadel was built on the site to help keep a grip on the Highlands. In 1690, King William 11 /111(of Orange) supported a plan to build a much more substantial fortress on the same site when the earlier wooden defences were replaced by stone walls. The village close to the fort grew in size to become known as Maryburgh (after Queen Mary, whose consort was William of Orange. The Gaelic name for Fort William is “An Gearasdan” which is translated as “The Garrison.During the Highland Clearances some 3000 local folks per week were “shipped” from the pier at Corpach to Glasgow and Liverpool to be then transported out to the Americas, Australia & New Zealand (for example :see the town of Fort William in Canada). There is no shortage of scenery to admire from our doorstops. Boat trips on Loch Linnhe are popular or you can drive down to Arisaig or Morar and lie on brilliantwhite beaches …. 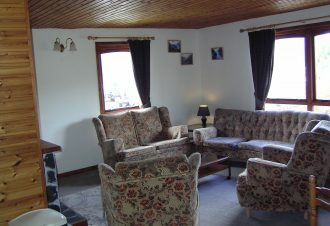 with spectacular views out to the Small Isles or Eigg, Muck, Rum & Skye to die for. Golden eagles can often be seen from one of Jim Michie’s “ Eagle Watch” cruises on Loch Sheil from Glenfinnan. From our doorstep, a 15 minute walk along the canal bank takes you to the Moorings Hotel, patronized by the rich and famous. 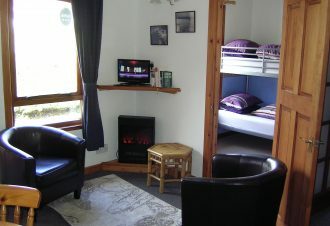 Mel Gibson used it during he filming of “Braveheart” and they will provide you with a pleasant bar meal or full restaurant facilities. 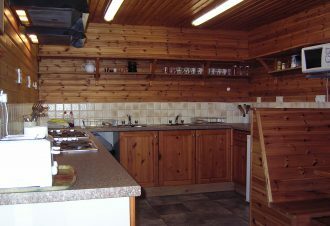 A little near along the canal bank is the excellent “Lochy Bar” which provides remarkable value tasty meals – big portions – cheap – and unpretentious. You can, of course go to these establishments by car or taxi. Take Aways. These are well provided for in the close by village of Caol by way of both Chinese and Indian Takeaways plus Jimmie’s Award winning fish & chip shop. All of these will deliver. Local Food Shopping Local supermarkets in nearby Caol and Corpach make it easy to buy essentials. 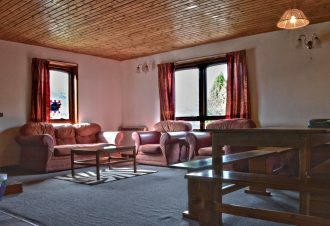 As well as being a convenient base for climbing Ben Nevis and the wealth of surrounding mountains, but Aonach Mòr is also on hand for winter snowsports or a trip on the Nevis Range gondola to the mountain restaurant in summer. If you are of an active frame of mind there are loads of options for adventurous outdoor activities canoeing (see also www.ukriversguidebook.co.uk ), mountain biking, and white water rafting. Here at Snowgoose Mountain Centre we are a long established canoeing, sea & river kayaking business, giving instruction, guiding & hire services at all levels. Both John & Tina have indepth local knowledge with the outdoors in the are and are happy to provide advice or information if needed. Traffic is still light on the B8004 but you can avoid it altogether and take a walk along the banks of the Caledonian Canal or the River Lochy. Keep right on to Inverness , if you like, 60 miles away on the Great Glen long distance walk and cycle way. 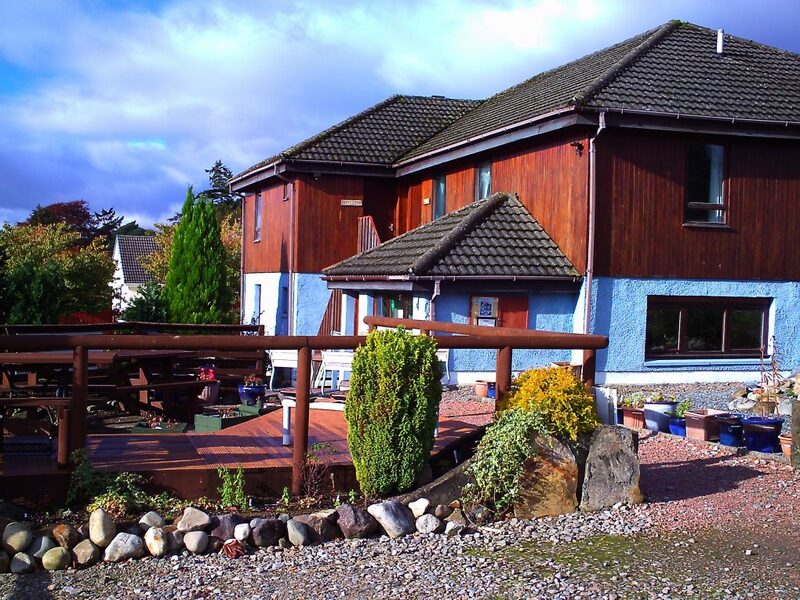 “Whin Knowe” is an ideal base for climbing or walking on Lochaber’s hills, kayaking its magnificent rivers or skiing Aonach Mòr, a mere ten minutes’ drive away. Paragliders use the gondola to access a high take off point in summer. Bikes can be ssafely stored in a barn or a garage and a power washer is available if they need cleaning.